An excellent and economical, life-size heart model. 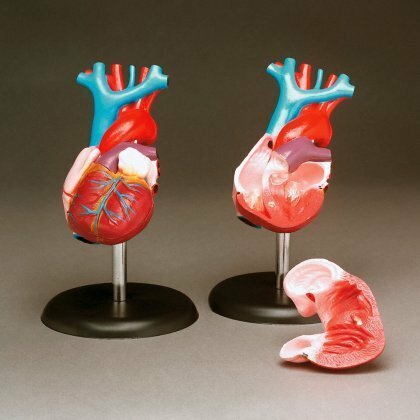 It is anatomically accurate and great tool for learning basic internal and external anatomy of the heart. Life size: 3-1/4" x 6" x 3-1/4"
WARNING: CHOKING HAZARD -- Small parts Not for children under 3 yrs.